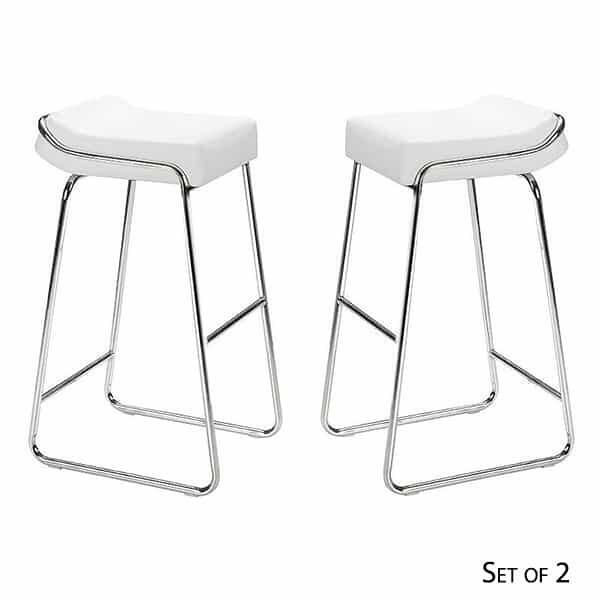 Serve up a slice of the Wedge Bar Stool by Zuo Modern. 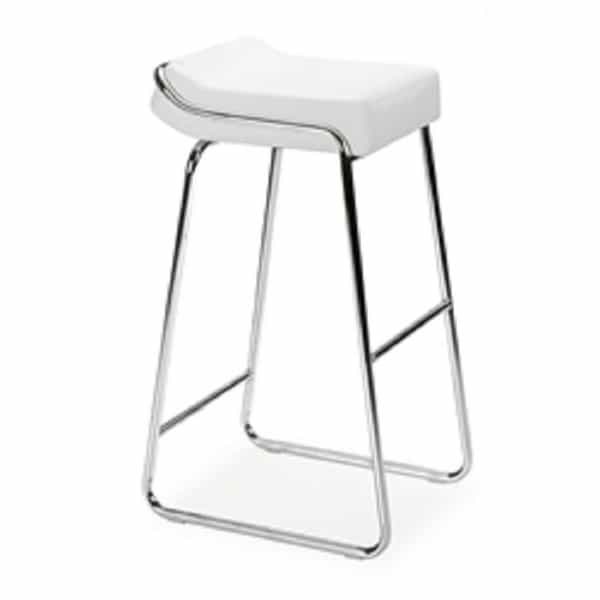 This avant-garde steel stool is the ideal addition to a contemporary décor scheme. A sleek chromed steel tube base supports a comfortable padded faux leather seat. The combination of chrome and white will add a bright spot to your gathering space.